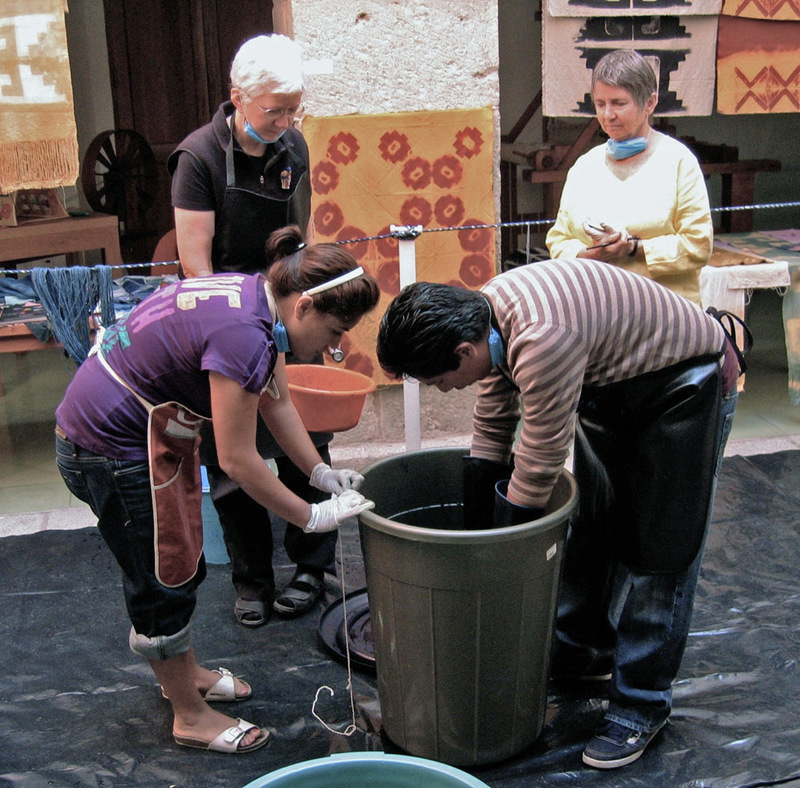 Several museums in Oaxaca among them the Centro Fotográfico Manuel Álvarez Bravo, the Museo de los Pintores Oaxaqueños, and the Mueso de Textil de Oaxaca offer extensive educational programs as part of their activity. Most museums in Oaxaca also offer an extensive library. 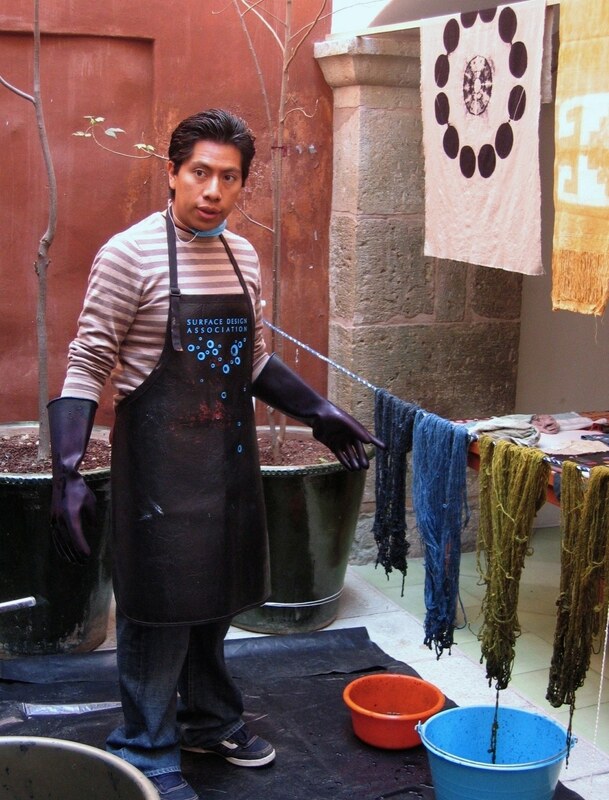 The Museo Textil de Oaxaca (MTO) calls its program Enlace Educativo. 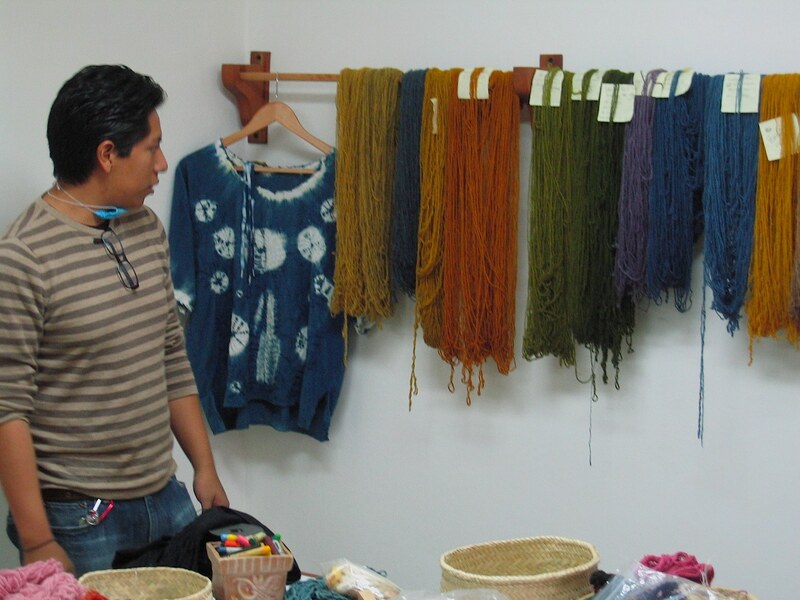 Its director, Eric Chavez Santiago was born in Teotitlán del Valle and has been a weaver since he was eight. As the coordinator of educational he directs workshops and guided tours, and facilitates the exchange of knowledge among artisans, artists and the general public. Eric says of his job, "The idea has been to educate and sensitize people about the process of the making of textiles, but also identify ways to support artisans, to open new forms of distribution, people who take a workshop never again haggle for a textile bargain." The workshops range from traditional processes such as backstrap weaving to the most experimental like assembly of fabric and photography, painting and textiles, and silver jewelry and textiles. 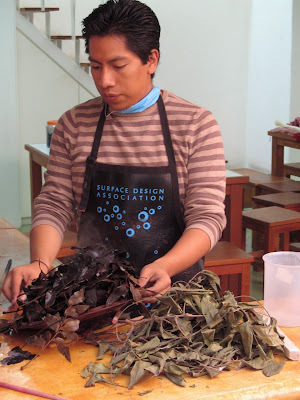 Eric comments that, "Over time, children began to arrive with their parents, artisans, multidisciplinary artists, housewives, and graphic designers from Mexico and other countries to take and give workshops, creating an interesting environment." 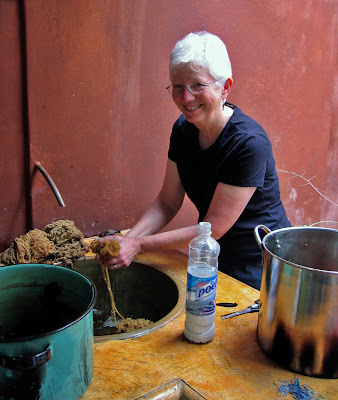 Jane washing yarns died with the pomegranate skins. The yarns behind the sink were dyed with pecan leaves. Eric working with yarn in the indigo dye. Eric was talking about dyeing and over dyeing with indigo. The 2 yarns on the left were grey and white wool dyed with indigo. 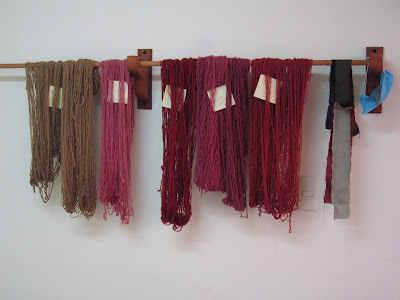 The 2 yarns on the right were dyed with pericón (sweet marigold) then over dyed with indigo to get the greens. The class did one more skein of pericón dyed wool with many dips of indigo to get a darker green. 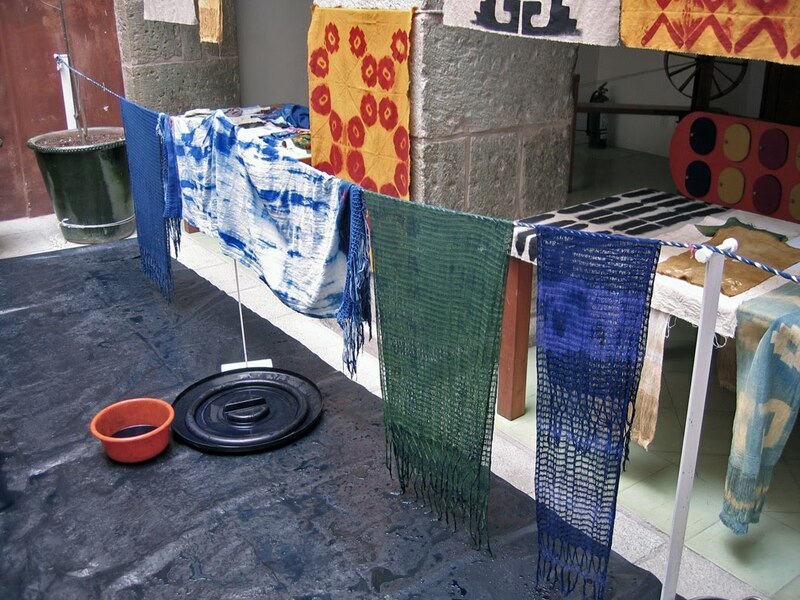 Some of the pieces dyed with indigo. Eric looks over the class production.